As much as I love my Nintendo Switch, there is one glaring issue with it when making use of its portability; that damn battery life. It barely lasts me a trip to and from my home to the city back in Australia, let alone when I travel somewhere like Japan and desperately want it to help me get through my discomfort while flying. Enter the Venom Power Pack. For someone like me, who does heavily use the console while travelling, and does frequently travel for long distances, this thing has quite become a life saver. The one negative out of the way first; because the Venom Power Pack is a pretty robust battery, it is also bulky and heavy. 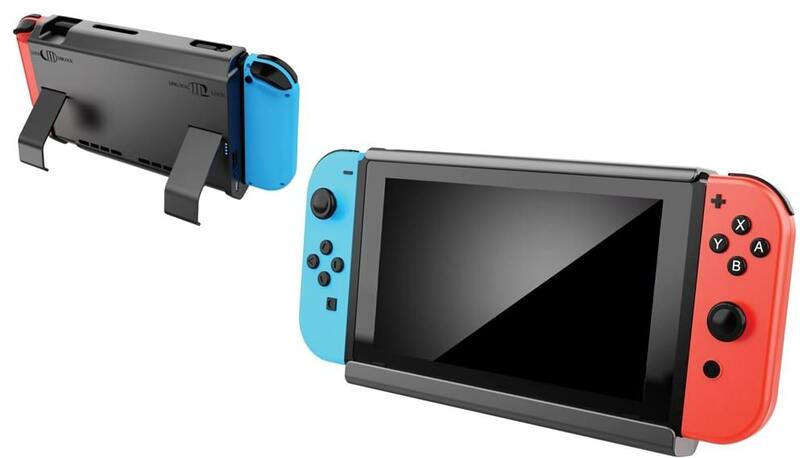 It more than doubles the Nintendo Switch's weight, and adds substantially to its bulk in size. If I'm being entirely honest I might actually prefer the shape the console has now, because I have large hands, and they rest comfortably on the jutting backside of the Switch with the Power Pack on, but I'm mindful that other people will find this inconvenient. 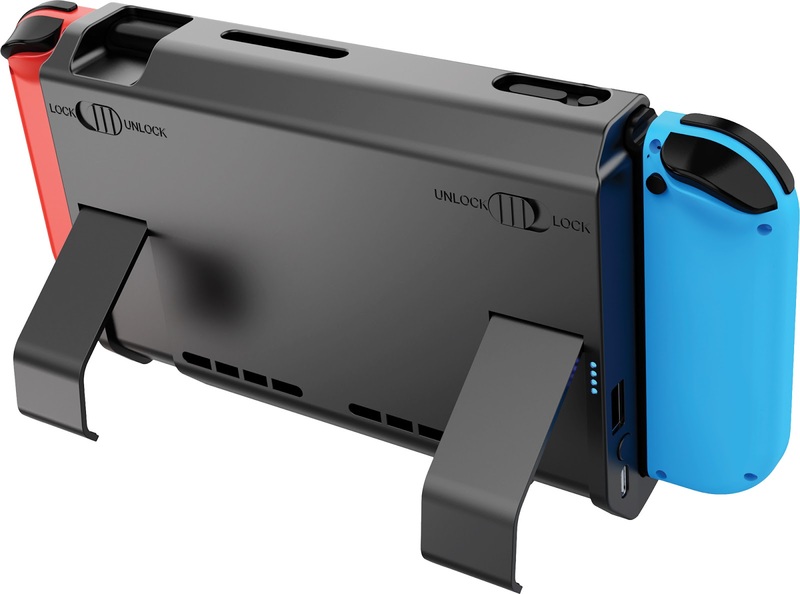 It does add a great deal of life to the Nintendo Switch's battery, though. To put it in context; the flight from Sydney to Japan is around nine hours. As I previously mentioned, I don't travel well on planes, and badly need something to keep me distracted on a flight. This particular flight was even worse because there was some horrible turbulence thanks to the endless cyclones battering the Pacific at the moment. Thanks for letting that climate change thing happen, everyone. Anyhow, I digress. Generally with flights the Switch's battery is well dead less than halfway across the trip. Thankfully my airline is ANA and the in-flight movies tend to be good, but this time around I didn't even need to turn the entertainment unit on because I got from Sydney to Japan with plenty of battery to spare. The Venom is an absolute beast. I haven't timed the exact length of time it will last (and that will depend on which games you're playing, anyway), but if you're still running out of battery power with this thing, you're travelling really long distances. I was also impressed that the Venom didn't get hot. So many battery packs become uncomfortably hot with use, and that would have been a killer for this kind of unit given that the hands have to be in contact with it while using it in handheld mode. Luckily that didn't happen. And, as an added bonus, the unit actually offers a double stand on the back. The Nintendo Switch by default only has a single stand, and to be honest, playing it with that stand never felt sturdy. With the Venom Power Pack, the console feels much more stable on tables and the like, making it easier to break out for a quick game of Overcooked with someone on the go. Perhaps the most useful feature of all though is the USB port that the Venom Power Pack has in its back. This can be used to power up smart phone or tablet devices on the go, meaning that with this you can leave your backup battery at home. There's more than enough power in the Power Pack to be charging your iPhone while also powering your Switch. When the Switch is put into the Power Pack, the top locks down for a snug; but not rigid fit. With third party peripherals for consoles I always worry just a touch that they're not fitted perfectly and will damage the device, but I didn't feel that with this one. 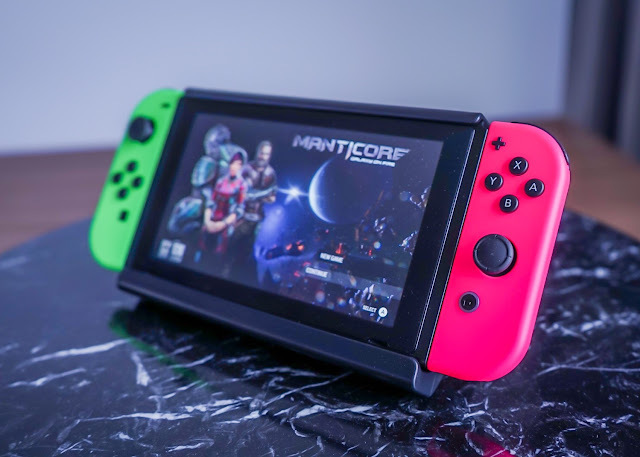 Once the Switch is housed in the case, you'll still have access to the critical top power and volume buttons, as well as the game card slot, so you can easily shift games without needing to remove the unit. The only down side is you lose access to the SD card slot, and if you're like me and have a lot of downloaded games, it is a bit of a pain to then switch cards if you want to play something different. Otherwise, this is a sturdy, durable, and easy to use unit that looks and feels premium. The fact it doubles as a portable battery only makes it all the more essential for gaming on the go. This is the essential Nintendo Switch peripheral.